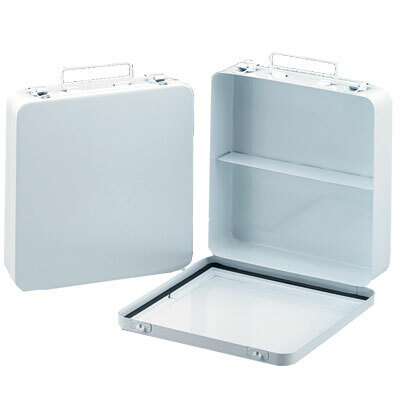 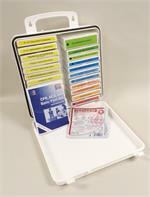 The Combination Compliance Kit contents come in a single 24 unit, gasketed, metal cabinet. Cabinet size: 9" wide x 9" high x 2.5" deep. 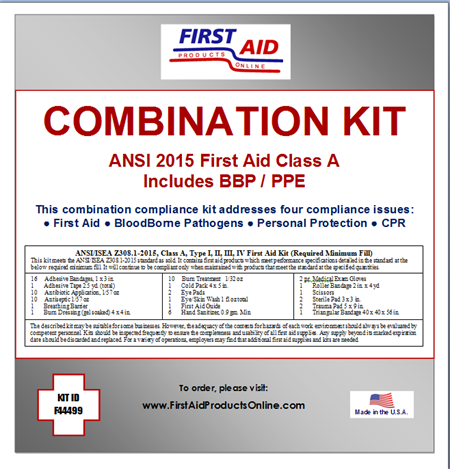 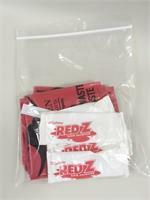 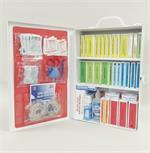 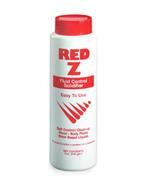 This first aid aid kitems in this kit are 100% bulk, to minimize the cabinet size required. 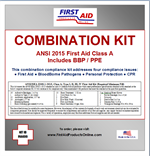 The BBP/PPE Pack is in a zip lock bag. 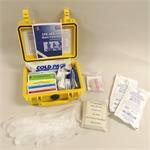 Adhesive Bandages, 1" x 3"
Burn Dressing, gel soaked, 4" x 4"
Trauma Pads, 5" x 9"
Choose single kits or save money and buy a case of 6 kits. 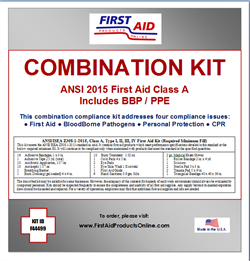 The described kit may be suitable for some businesses, however, the adequacy of the contents for hazards of each work environment should always be evaluated by competent personnel. 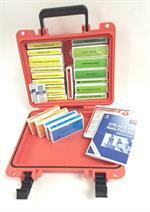 For a variety of operations, employers may find that additional first aid supplies and kits are needed.